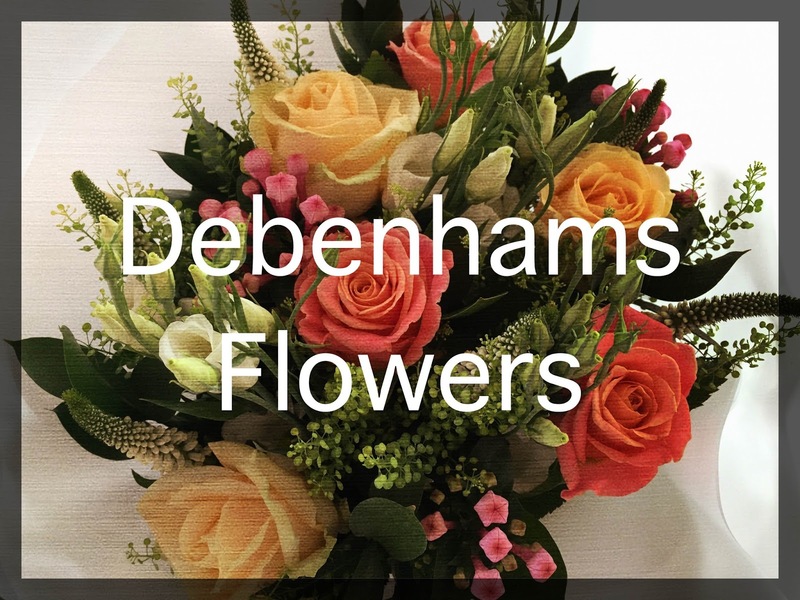 When I got an email through a couple of weeks ago from Debenhams Flowers* asking if they could send me some flowers from their Autumn range, I obviously said yes! They kindly sent me the Designer Honey Blossom which are gorgeous. I was over the moon when a huge bunch of flowers arrived at my door on Saturday. I’d been thinking about getting some flowers to brighten up my room and make life that much better in the mornings! I was so impressed that they delivered 7 days a week and they were kind enough to send mine on a Saturday as the next day off I had was Friday! If you order by 9pm you can have Next Day Delivery, perfect for last minute gifts and perhaps forgotten presents. The fresh, high quality flowers last for a minimum of 7 days! The few days before the flowers arrived I was feeling so down and since I got them I’ve felt like it’s been nice to have something pretty to look at! Having Flowers by Post is the most exciting thing ever, you’re probably thinking that it’s really no big deal but I’ve only ever been bought flowers THREE times so I love these. 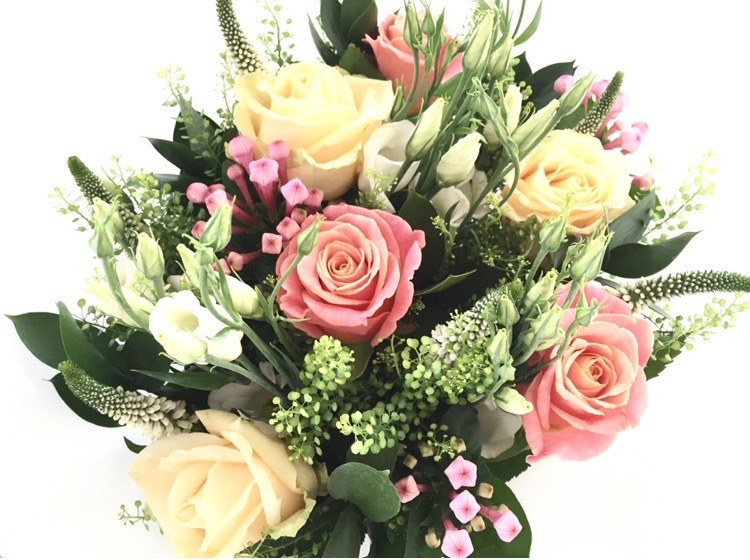 This Designer Honey Blossom is made up of peach avalanche roses, vintage roses, pink bouvardia and white eustoma with seasonal sugar flair berries. You can 25% off your own bunch of flowers from Debenham Flowers using the code DFBLOG2. Enjoy! 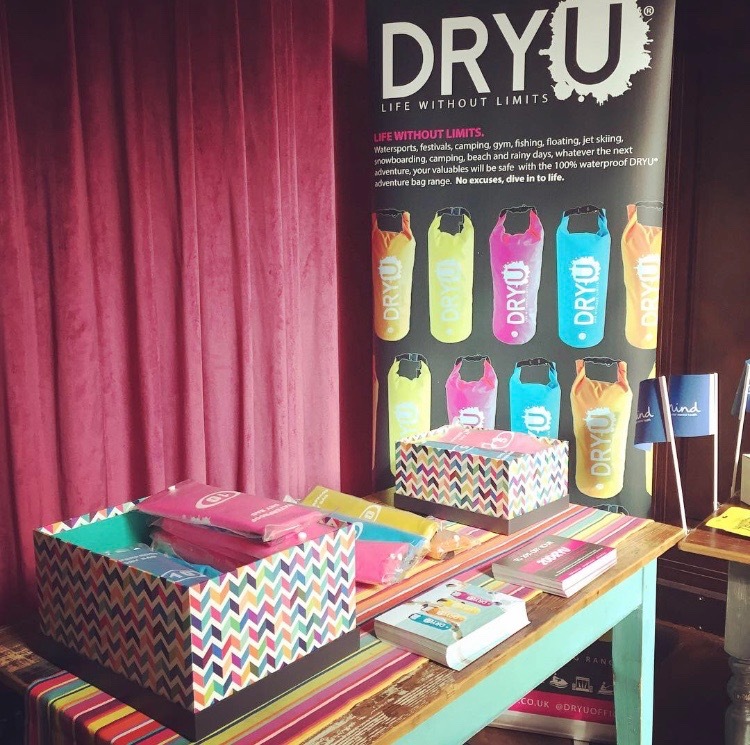 After the latest PLB meet up in Bristol, we were lucky enough to receive some great products. 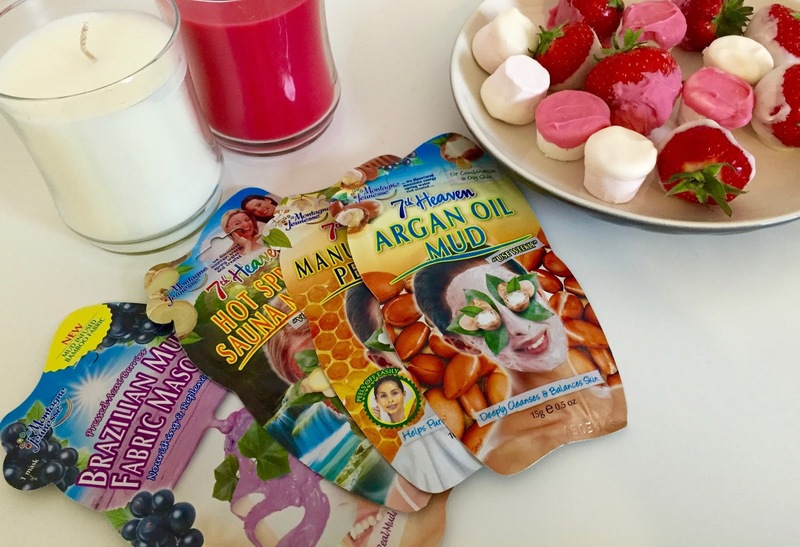 So much so that I thought a few of them were perfect for a pamper evening. 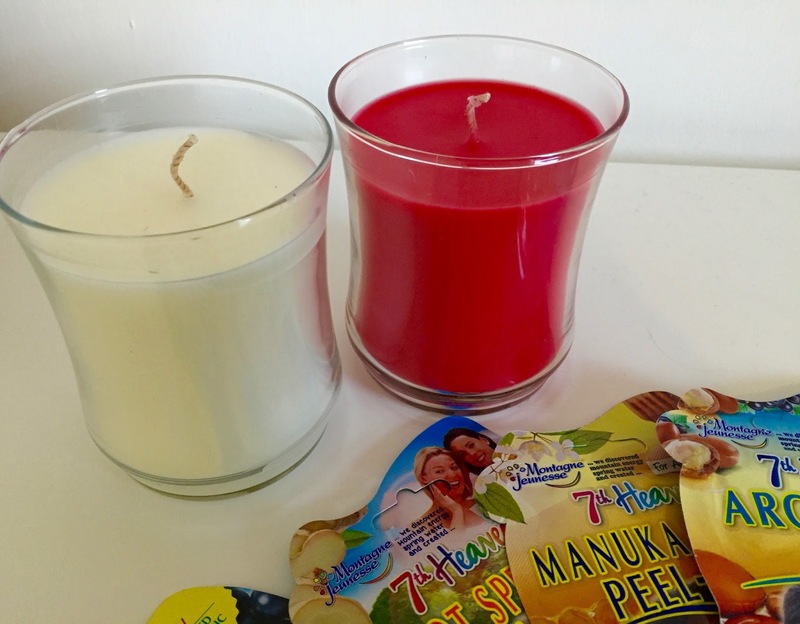 We all need them so with these 7th Heaven Face Masks, a few candles from Partylite lit and a whole range of treats…mainly Chocolate (! 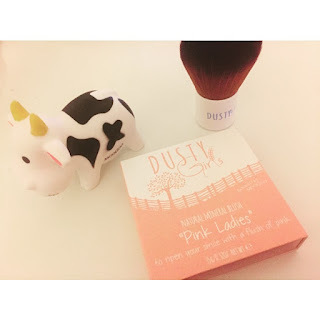 ), I was able to put on the perfect pamper evening with my sister. We started off with our face masks, I went for the hot sauna one while she went for the fabric one. 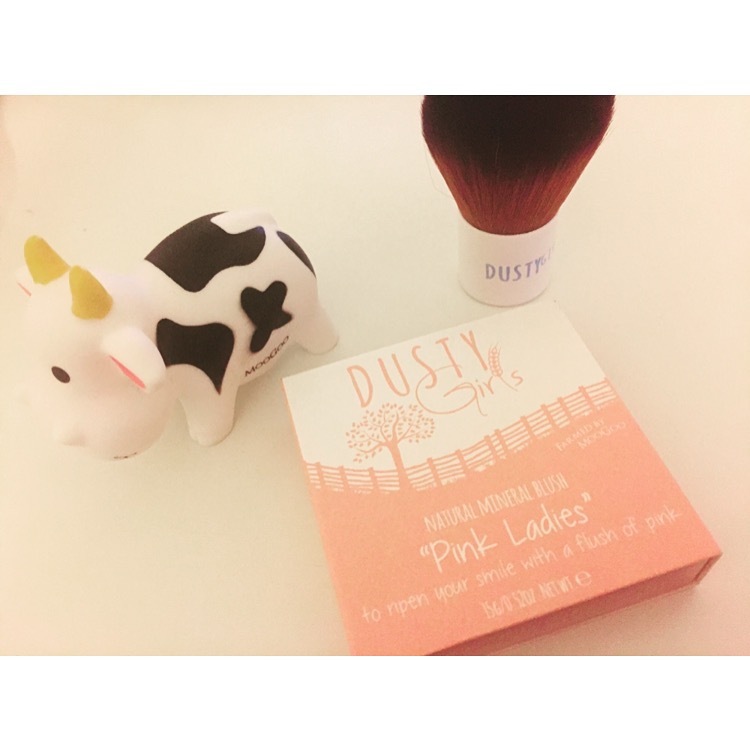 Mine had an exfoliating element to it as well so after 20 minutes when I took it off, my skin was much softer and it looked much clearer than before, which is always promising. I also made some yummy treats for us to enjoy. Using the Cake Angels chocolate melts, I coated some strawberries and marshmallows. You melt the chocolate in the microwave for 1 minute and give it a stir occasionally so it doesn’t stick to the bowl and burn. 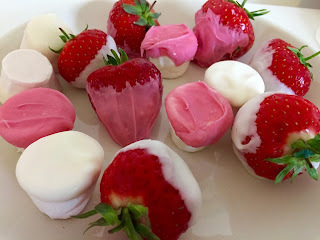 I used both the pink and white chocolate melts, half dipping the marshmallows and coating the strawberries. I then popped them all in the fridge so the chocolate could harden and we could enjoy! We also shared a bar of Green & Blacks Thin Salted Caramel chocolate and just OMG. It is heaven in a bar. You know those days when everything is going wrong and there’s nothing to fix it? This will make it better. Everything will be right again and all faith will be restored. 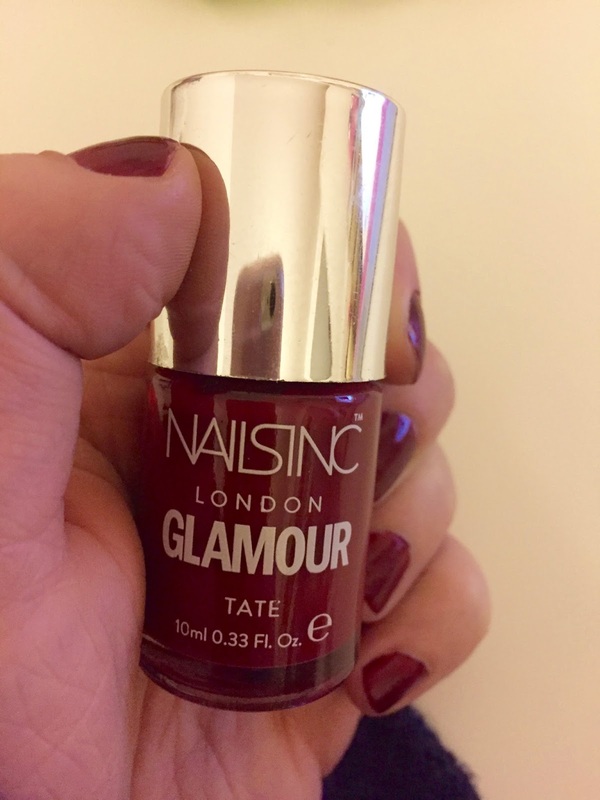 You can’t have a Pamper Evening without painting your nails so I used this Autumnal Red from Nails Inc thatI got with Glamour. So perfect for this time of year! 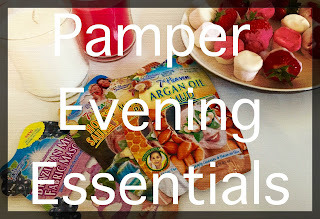 It was so lovely and relaxing to have a pamper evening and it just makes me want to do it more often! The Partylite candles are a really nice touch, smell incredible and also make a more relaxed feeling. 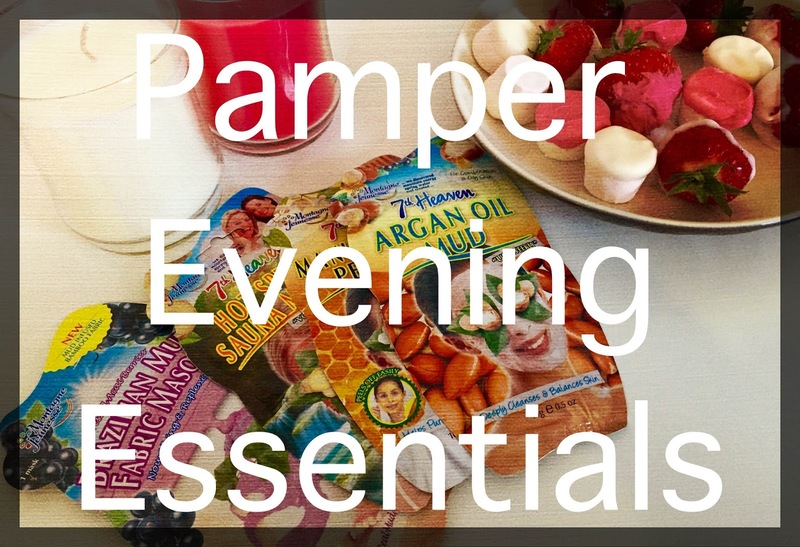 These are my Pamper Evening essentials. What are yours? 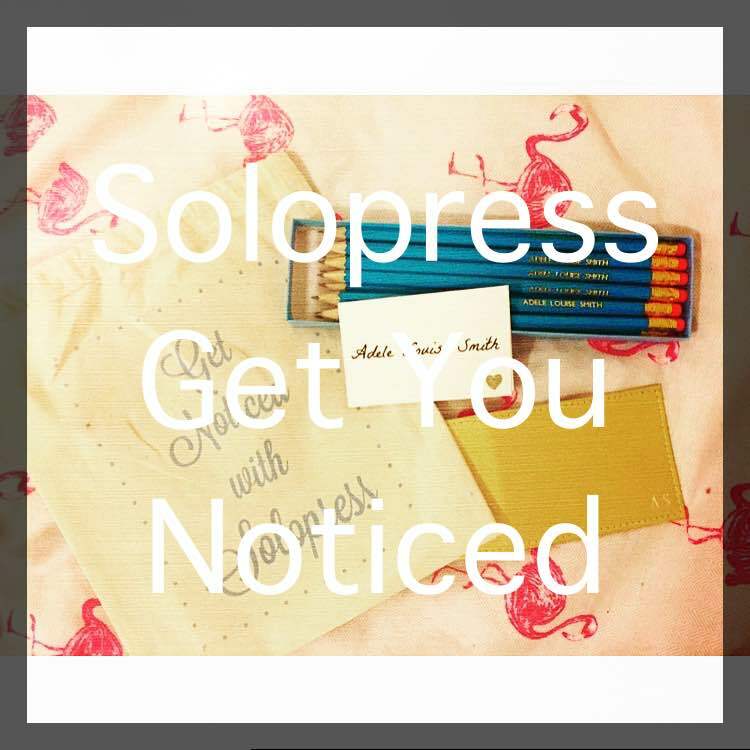 When I got asked to be a part of the new Solopress campaign “What will get you noticed?” I knew I had to get involved. I absolutely loved their previous campaign which included this beautiful memory book so I knew I wanted to be a part of their next one. As you may or may not know, I have started organising events with Kirsty from Just A Little Bit Ginger under our events organisation of Pretty Lovely Bloggers. We have put a lot of time and effort in to organising our first 3 events, with our first being the West Midlands Blogger Event in Birmingham on the 19th September and our second was on the 10th October in Bristol. Both of which went so well and we have two next month and so many exciting plans! This has become a huge part of my life and something I have become very passionate about. I absolutely love organising events for other bloggers. 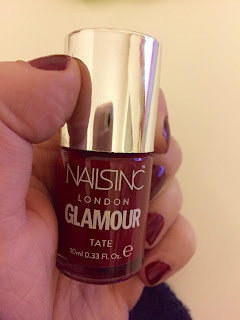 Obviously being a blogger myself and having attended a number of events, I feel like I have a bit of an insight on what bloggers want from events and this has been reflected in the events we are putting on. Bloggers for bloggers! 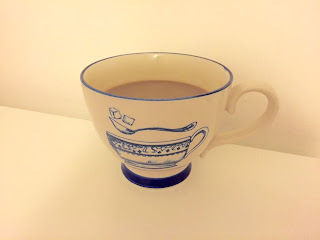 Our aim is to connect bloggers with each other so they can meet like-minded people and hopefully make some great friends through events just like I have! 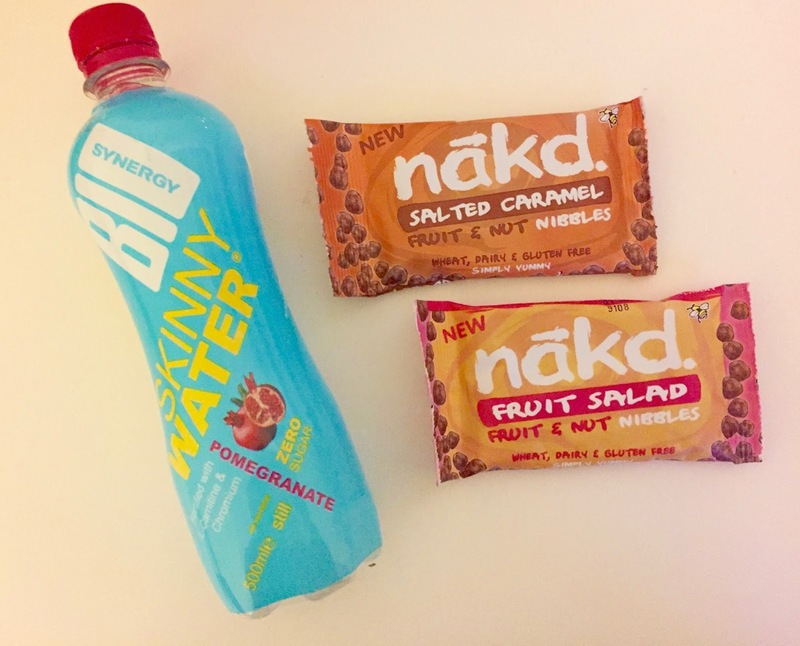 As well as connecting brands we absolutely love with the bloggers attending for future collaborations and to find some products they will hopefully fall in love with. My billboard would have the Pretty Lovely Bloggers logo on it to initially catch your eye, photos of previous events to see what we have put on, as well as all social media links so they know where to find me if they have any questions. Finally I would have ‘Events by Bloggers for Bloggers’ so people know what Pretty Lovely Bloggers is all about. 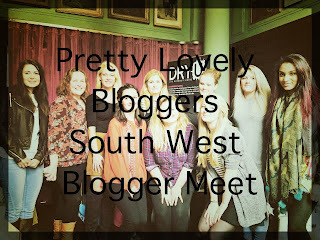 I’d love to be able to get Pretty Lovely Bloggers out there so we can bring events all over the country! I also received this lovely set of pencils, business cards and business card holder which I’m in love with all of it! These personalised pencils say ‘Adele Louise Smith’ and I’ll definitely be using them to think up all of my events ideas! I have new business cards and a business card holder so I can look all professional when I’m at events! 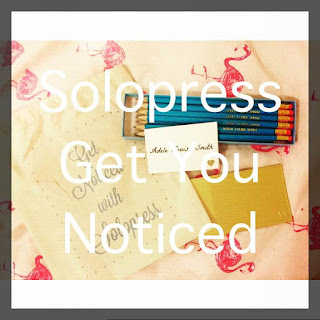 Don’t forget to enter Solopress Get You Noticed competition here. 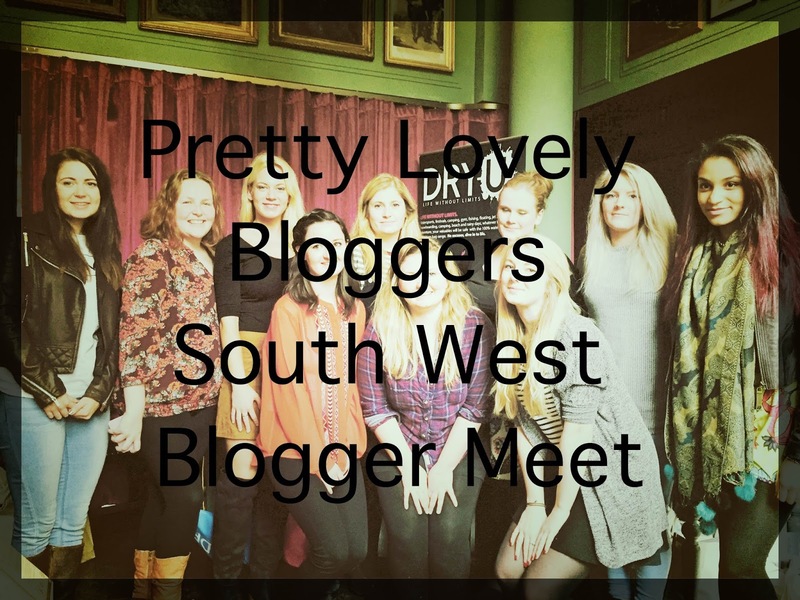 I have now organised two events this year (West Midlands Blogger Meet & South West Blogger Meet) with Kirsty from Kirsty Leanne. It’s been a crazy few months and I never would have thought it would happen (I sound like I’ve gotten married or something). It’s been amazing, I’ve met some wonderful people, had the opportunity to work with some great brands and organised some successful events. I cannot thank the people who have supported us the most (our families of course! 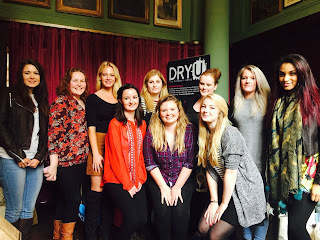 ), and of course all the bloggers who have attended our events too! I honestly did not realise just how much time would go into organising events, before you know it you’re organising more and more and it is so exciting. I have so many ideas that I didn’t realise how I actually had them all. Admittedly some of them are for summer and next year but it is never too early to start planning. 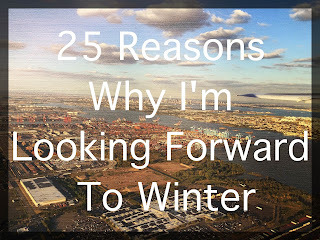 I have spent countless hours in from of the computer, and on my phone, sending emails, on social media, talking to other bloggers too find out who wanted to be involved and what we were going to do. The only time we aren’t talking is when we are sleeping, or when I’m sleeping since I go to bed much earlier!, there is always something to talk about and plans to make! There are boxes literally everywhere! They are under my bed, all over my room, in the garage, in the dining room, everywhere. Absolute hours. Just so long. We had to take two cars to the West Midlands Blogger Meet and that was just my stuff, Kirsty came with her parents too! Lesson learnt. There needs to be a plan of action, for all scenarios. I had all the products split up into sections, goody bags in suitcases and raffle prizes in a box so it was easy to sort everything out. It’s just something you have to accept and everyone else will have a fantastic time anyway. It is inevitable, people only want the goody bags. Fine but they are the ones that will get a bad reputation so this is not something that will come back on you. The will meet new bloggers and they will blog about it. These are the people that make every minute worth it. I have loved every minute organising these events and I am so excited to have such an amazing opportunity. If you want to hear about all our future events, sign up here. Make sure you follow us on twitter at PrettyLBloggers and if you have anywhere you want us to visit or want to see, leave a comment below. 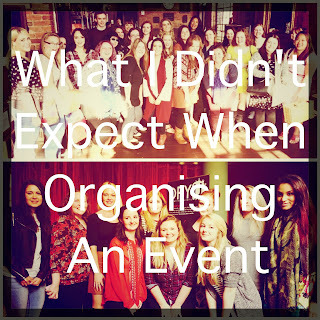 Also make sure you check out Kirsty’s post on Events: Tips for Organising an Amazing Event. Making your perfect Christmas list! Life. 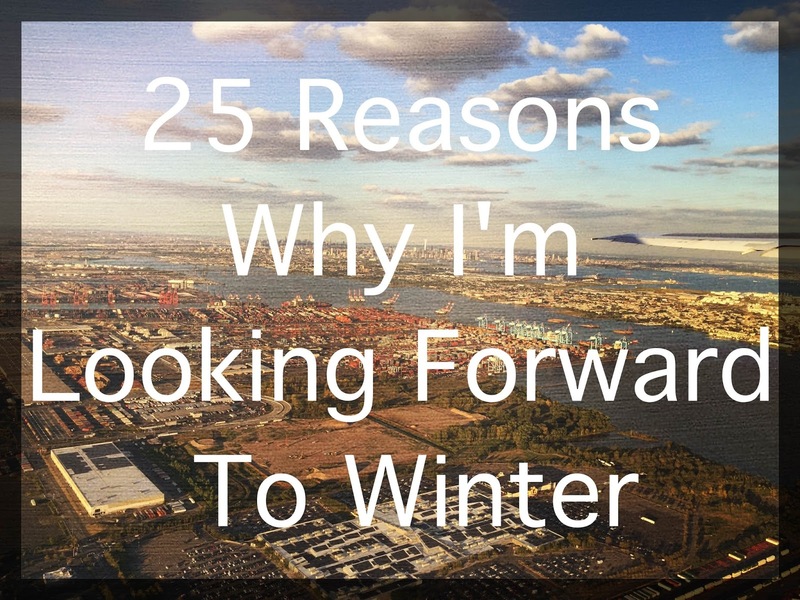 Life just seems so much better in the Winter! I freaking love Christmas. As one of the products in the South West Blogger Meet goody bag, it was only right to share some treats I made using my Sweet Freedom* products. 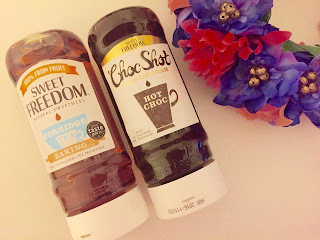 Obviously the first thing I had to make with Sweet Freedom Choc Shot was hot chocolates! Now it is starting to get much colder, hot chocolates are always on the cards. I made mine with a mug of skimmed milk, in the microwave for two minutes. 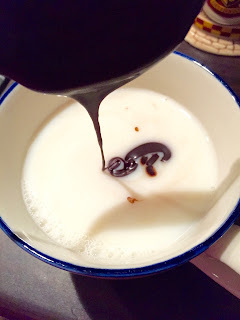 Store in a dessert spoon of choc shot and ta-dah! 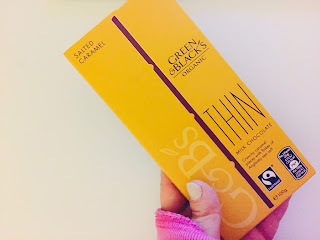 Add more if you want a stronger chocolate taste! I’d say this is about 2 ½ tsp worth so 35 calories, plus the milk. If you compare this to your standard hot chocolate it is nothing! I would also add this as a topping to pancakes because just! This would also be less calories than sugar; so it’s a winning topping. Also a drizzle over some fruit such as strawberries and raspberries! Another option, if it takes your fancy, is to drizzle a bit over some popcorn. There are plenty of recipes you can try here, I’d love to try their avocado brownie bites. 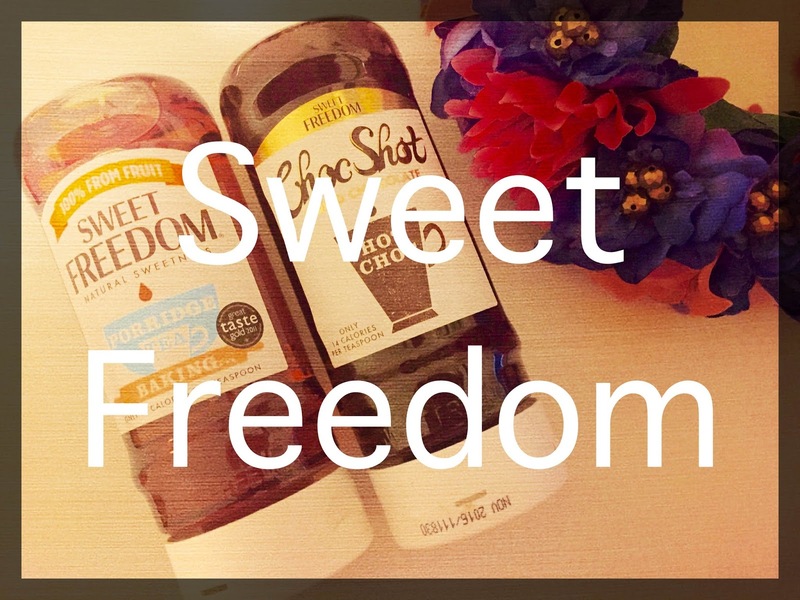 The original Sweet Freedom product, called Sweet Freedom coincidently, is 13 calories per tsp and is made from 100% fruit: apples, grapes and carob. This tastes and sweetens just like white sugar. 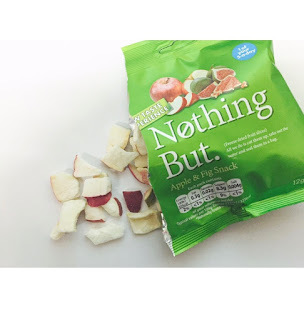 I am amazed that such a product exists and if small swaps like this can be made, it would make a huge difference. 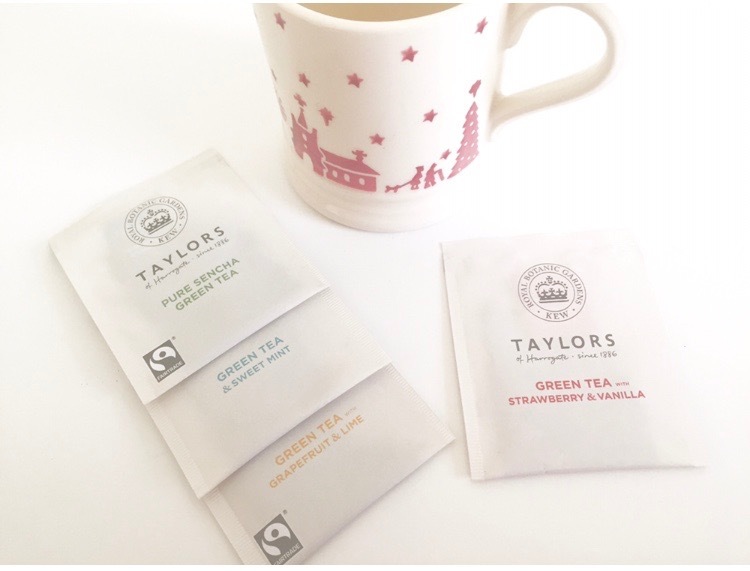 The typical way I would use this is as an alternative to sugar, a little bit in tea, to sweeten yogurt, and even in baking! You only need 25% less Sweet Freedom to the sugar in recipes which is amazing! I want to try eggy bread, fruit and some Sweet Freedom! 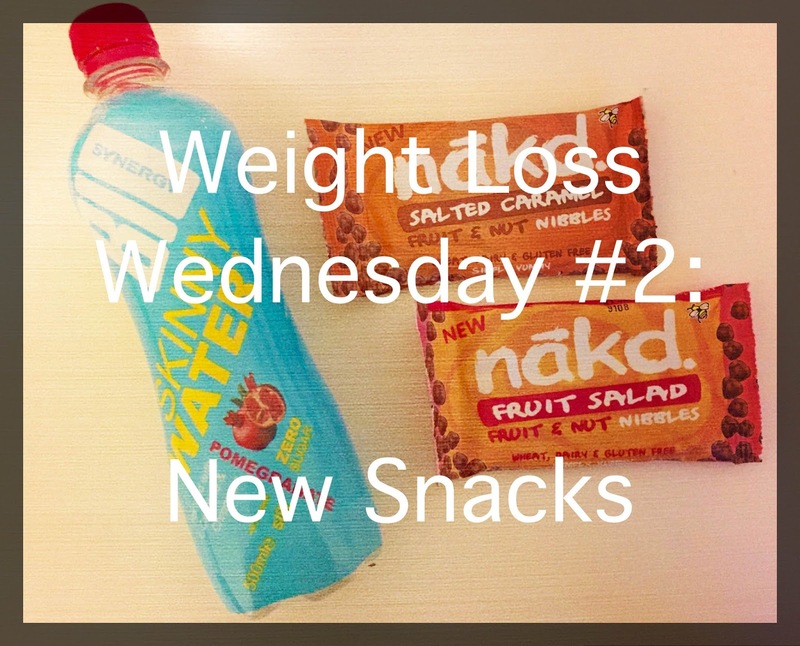 Make sure you check out all their recipes here! Both these products are available in all good supermarkets for only £2.99 for Sweet Freedom and £3.50 for Choc Shot. So this is the weirdest thing ever, I’m currently typing this post straight onto my laptop, I normally write my posts using pen and paper then type them up. But I don’t have time for that now! Anyway, on Saturday Kirsty and myself hosted our second Pretty Lovely Bloggers event in Bristol at the Cosy Club in the cutest room ever! With the perfect setting, we had two brands attend too. One of which I found by chance on Twitter and are actually based not far from where I live! DryU is an amazing new product, launched only a month ago. They sell Waterproof Dry Bags which are perfect for so many situations! We all had a lovely chat about all the ways we could use them and with Winter coming up, a lot of us will be using it to keep our valuable items dry in the rainy weather! They are perfect to take surfing, camping, to festivals and on walks. I got a small 5L pink one (obvs it’s pink, why wouldn’t I take a pink one?!) which will be great for me to take from the car to work and keep everything dry, as well as another layer in case I get drenched! 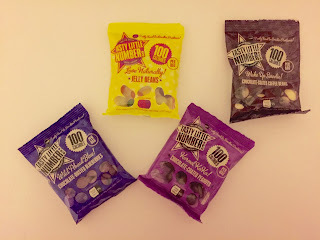 I’m going to do a whole other post about how great these bags are! 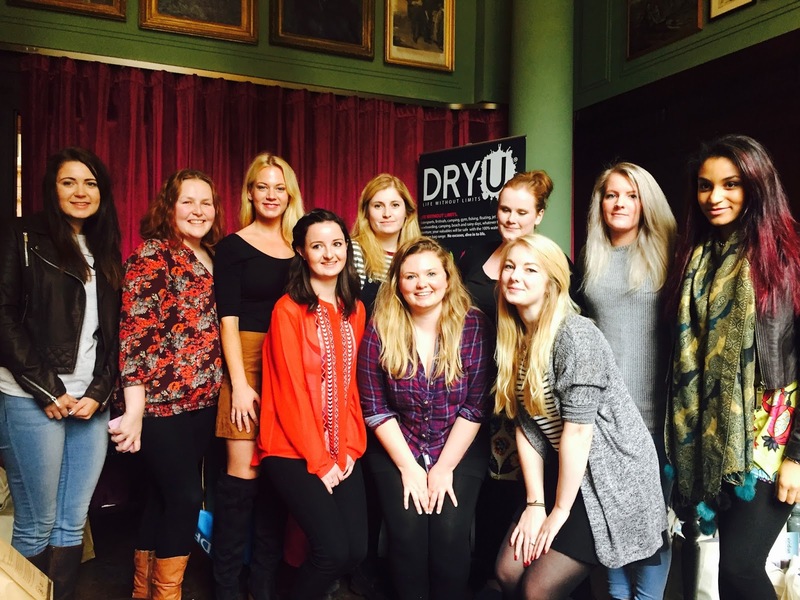 We had some really great bloggers attend and it was lovely to meet some new people! Plus they’re actually near me, so I can go visit all the time! Also seeing Chloe from Mojichlo drink a Mojito, is literally life made! It was well worth the time and effort to put on the event in Bristol, and I really want to organise another one in the area! I still didn’t take enough pictures SOZ. But a massive thank you to everyone that came, to Kirsty for coming all the way from Birmingham and to all the brands that contributed to our goody bag! 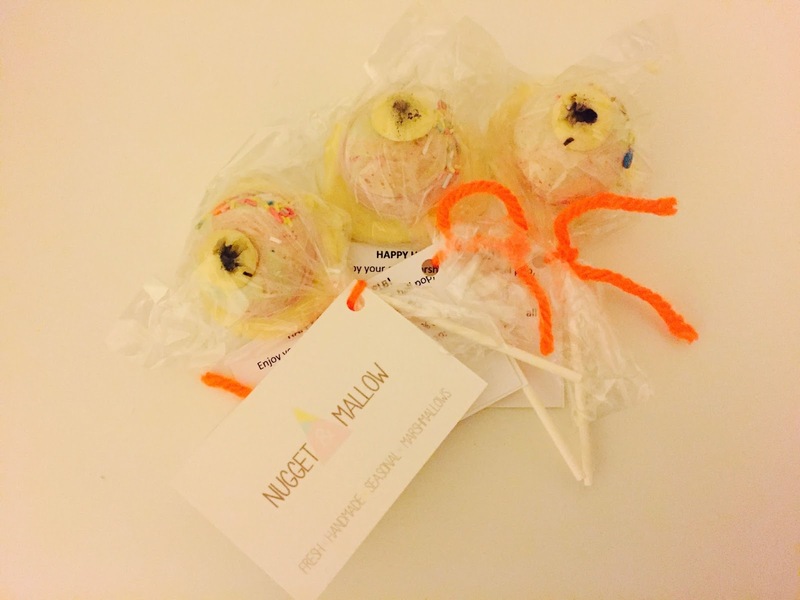 Nugget and Mallow pulled it out the bag again! There is 4 weeks till our next event and we also have an event in Birmingham at the end of next month! #PLBSantasGrotto! If you want to hear all about our events, make sure you sign up to our database here! Before you jump to conclusions that this might not be that great, let me just start by saying that my sister told me this was the best dinner I have ever made. I personally think that some of these quantities are a little bit more than what you need so I would judge it by how many people you are cooking for! You can whip up this meal in 30 minutes and there is a mere 397 calories per serving. But it is so filling that you wouldn’t know it which is great! Roast the butternut squash on a baking tray with a splash of oil, salt and black pepper. Cook until tender and slightly caramelised and brown in colour (around 20 minutes). 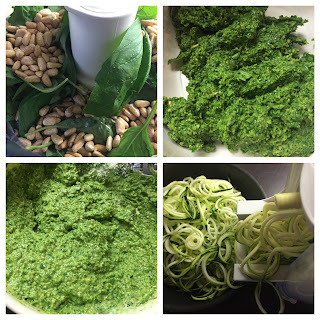 Prepare the courgetti with a spiralizer. 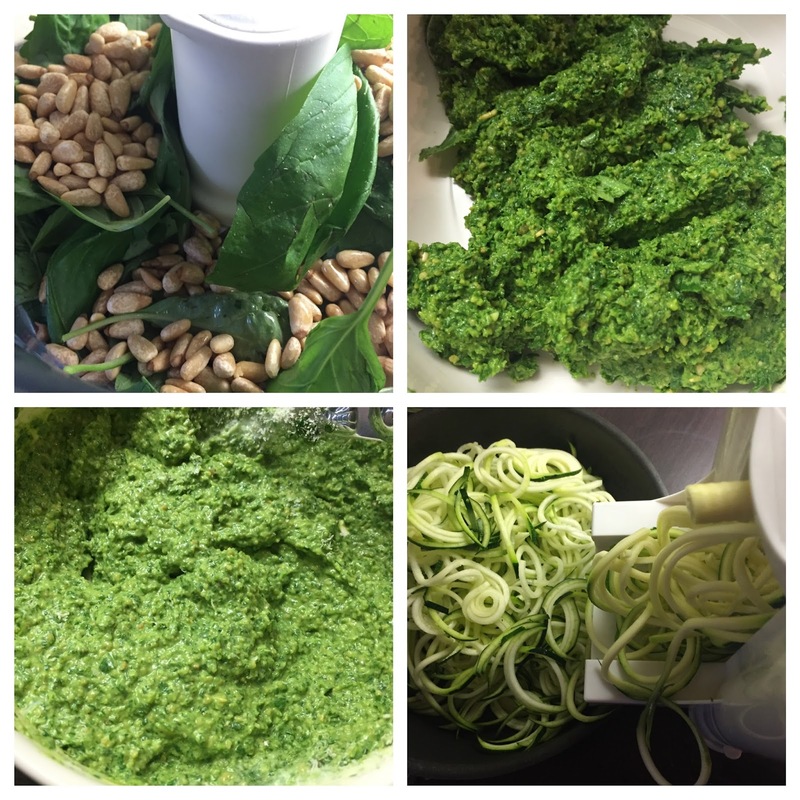 In a processor, put the chopped and crushed garlic, basil and pine nuts and use some oil to loosen the mixture. Blend to form a puree. 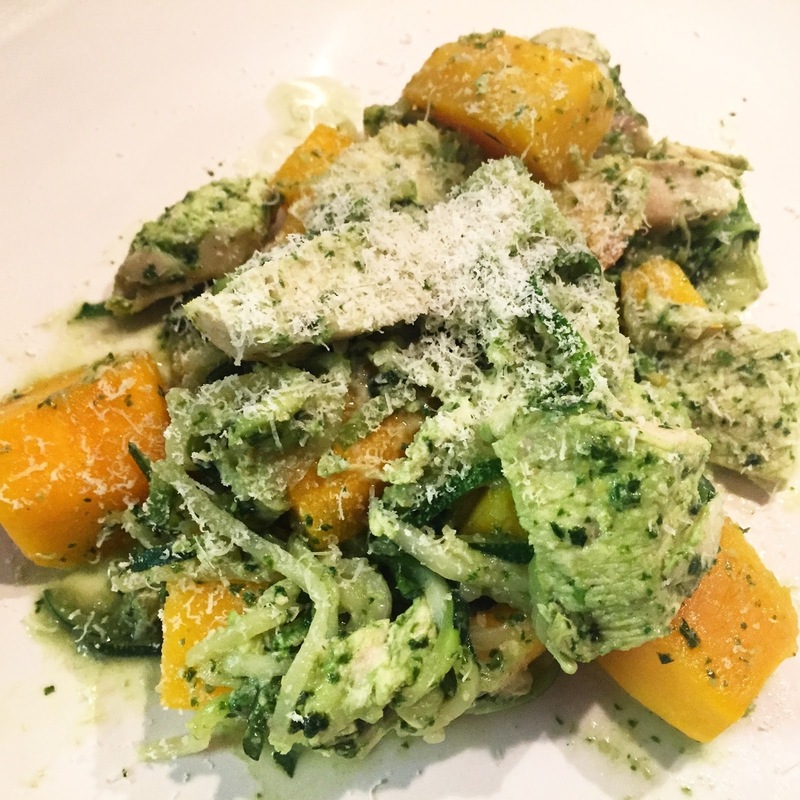 Place in a bowl and stir in the yogurt and parmesan. Add more oil if required, then add the lemon juice and season. In a large deep sauté pan, heat up some oil and gradually add the courgetti, giving it time to soften. Add the roasted chicken and 3 large tablespoons of pesto. 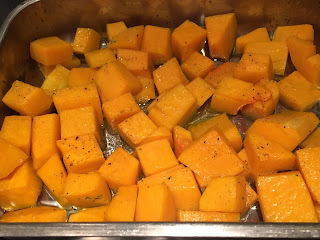 Stir in the roasted butternut squash and cook until the chicken is heated through. Serve immediately and garnish with pine nuts, parmesan and pepper. This is so delicious! Let me know if you try it! Hello! 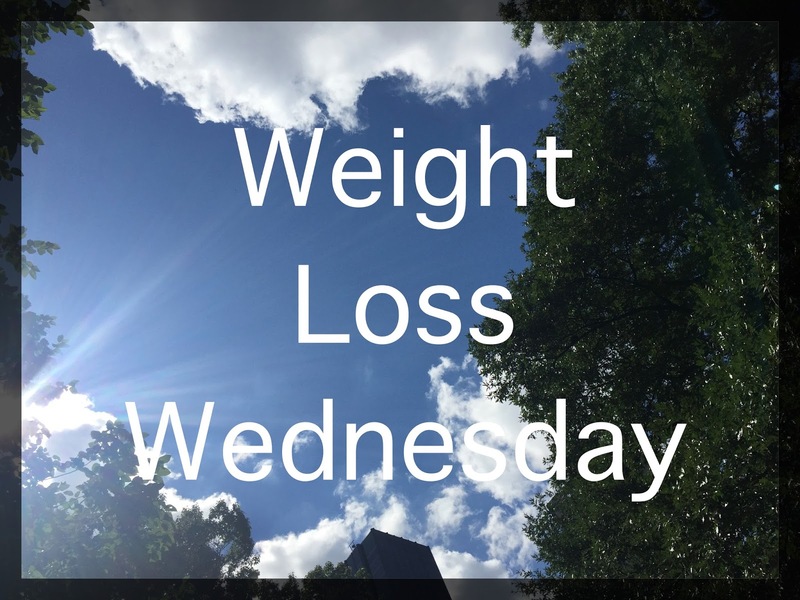 And welcome to Weight Loss Wednesdays! Excellent, now I sound like a cheesy American ad I can carry on. 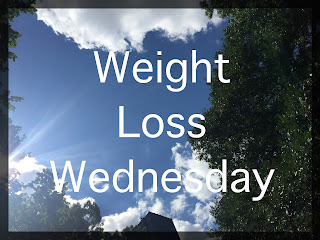 I’ve been asked by several people what exercises I do that helped me lose weight. I shared an insight here. But I’ve actually upped my game since then so I thought I would share my workout with you. 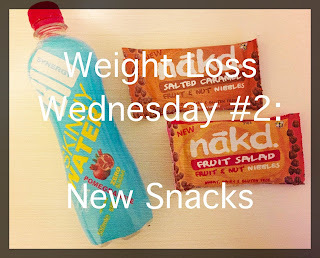 Please bear in mind that for some people this could be classed as not much so I would say that this is aimed at those who aren’t as fit or are trying to lose weight that are similar to me. It’s not easy being overweight and doing the following exercises. It’s certainly painful and more often than not I want to sit down, cry and just give up. But hey, that’s life. I always start with a run, anything from 1 to 2 miles depending on the day and if I’ve done intense exercise the day before. Some days I can manage more running than walking and other days vice versa. This is essentially to get my heart rate up ready to exercises afterwards at home. This varies a lot. I first started out by doing 3 sets of 5 different exercises for 10-20 reps. This would include plank, squats, press ups, crunches and hip raises. I have now moved on to supersets which is 3 sets of 2 exercises for 15-20 reps, all done 3 times, so 6 exercises altogether. This includes squats with a bar, chest presses with a weighted bar, ab roller, hip raises, lunges with weights and lifting weights upwards. Bearing in mind these weights aren’t like, we aren’t talking 2kg here! I’d be lying if I said it was easy but it’s worth it which is the most important thing. Have you got any fitness tips for me? 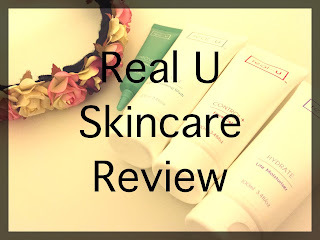 I have been in search for some good skincare products for some time now and when I came across Real-U* I was so excited! 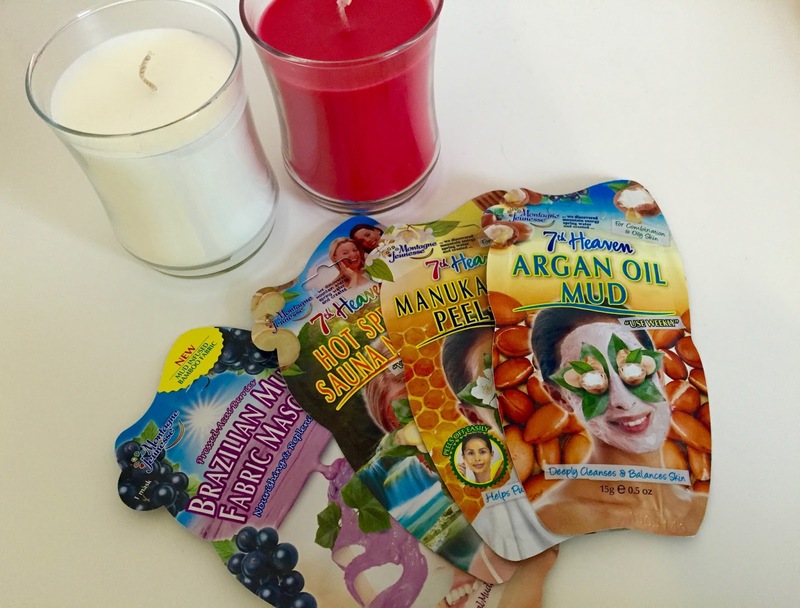 When I say good skincare products, I mean ones that work for me. I have really bad skin so Real-U is perfect as there is nothing bad in them and my skin won’t flair up just looking at them. 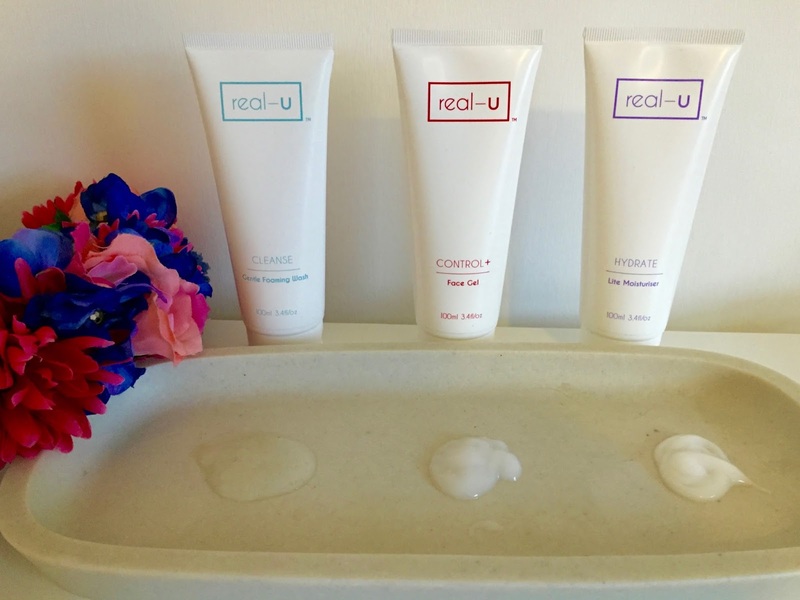 Real-U use a 4 step process starting with a cleansing face wash, followed by a gel and a light moisturiser and ending with a spot cream. It sounds like you’re putting a lot on your face but in actual fact you’re not. The cleansing face wash made my skin actually feel clean which I rarely find. As you can see the consistency of the products is very runny and it doesn’t tend to hold it’s shape at all, which makes it great when you are putting 2/3 products on your face and you don’t feel like you’ve put loads on which I tend to find with other moisturisers. Overall, I have seen a massive improvement on my skin. My acne has reduced as much as it would ever do which I am so pleased about! My skin is also really smooth and it boosts my confidence because obvs everyone is looking at me because I look beaut and not because I have bad skin! 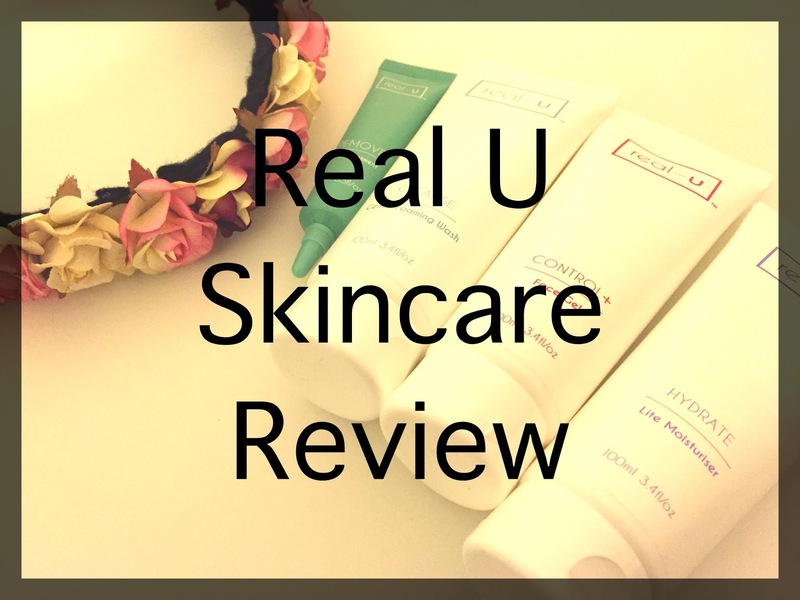 I cannot recommend Real-U enough! 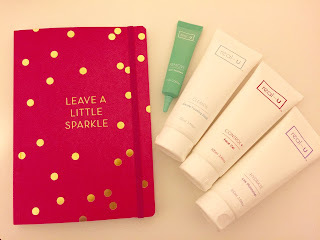 Definitely worth looking at if you need some new skincare. A couple of weeks ago I received a box that has now become one of my favourite subscription boxes. 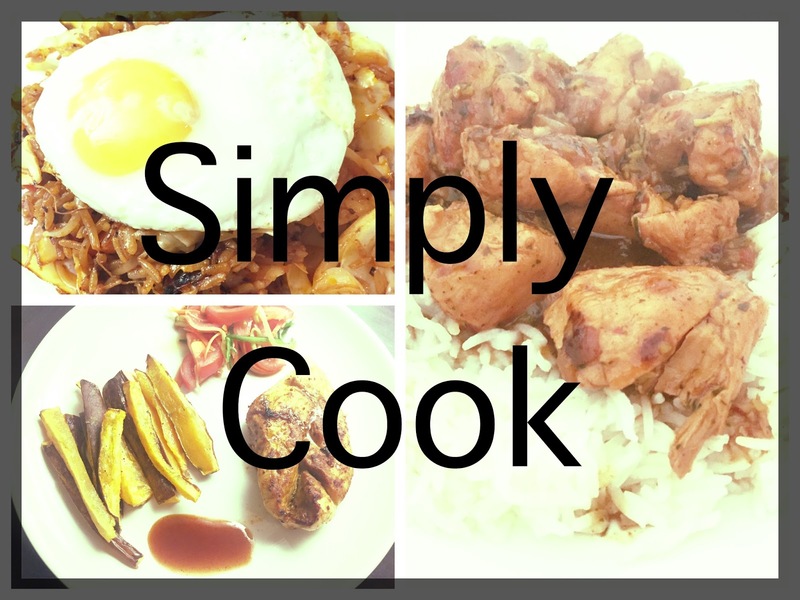 For £8.99, Simply Cook* send you 4 recipe cards and 4 boxes of 3 seasonings to make the meals. These seasoning can include pastes, garnishes, stocks, oils or rubs plus many more! The recipes I got to make were Chicken Tagine, Bokkeumbap, Thai Grilled Chicken and Balinese Chicken. I will be sharing these recipes over some time. 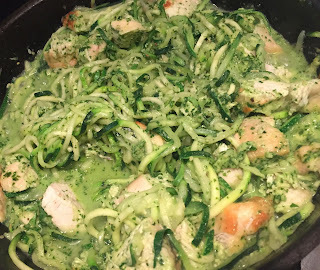 I loved all of them and I would definitely make them all again, which is why the recipe cards are so great, you can keep them to use again! 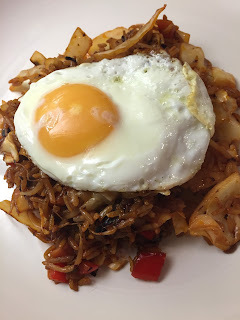 I could eat Bokkeumbap, very similar to chicken fried rice without the chicken and the egg is on top, all day everyday. I need to look into replacing the rice with cauliflower rice so that I can eat it more often. 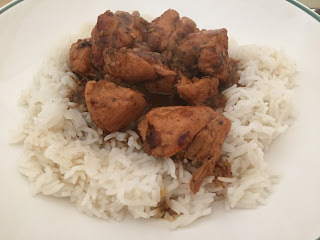 If I could describe Balinese Chicken like another curry, it would be like a spicy Chicken Korma. I made this for my nan as something a bit different for her and while this is on the spicy side, she did enjoy it! Thai Grilled Chicken had to be one of my favourites. I served it with sweet potato fries (being economical and using what was in the fridge!) instead of noodles. The salad on the side was delicious and the chicken was incredible. 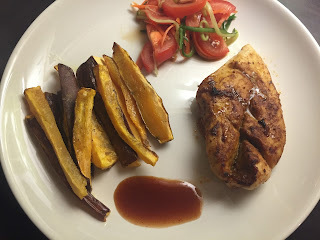 I never think to grill chicken but it’s still quick and retained the flavours from the paste more than if it was in the oven or in a frying pan. The Chicken Tagine was not something I would have chosen to have on my own but that’s the great thing about subscription boxes, you get to try something new! Let’s just say we will be having this for dinner more often! 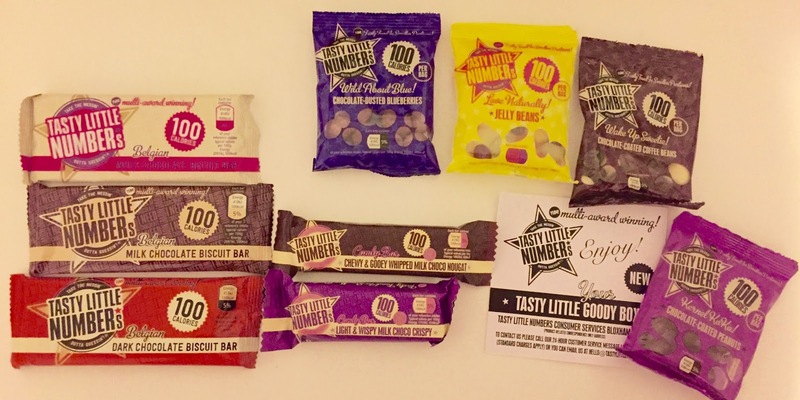 Honestly, this has got to be the best food subscription box ever! When it comes to one that is used for making meals of course, my other favourite box being Degustabox, but they are so completely different that I can love both the same but for different reasons! It’s a genius idea and I need to sign up for every month now!